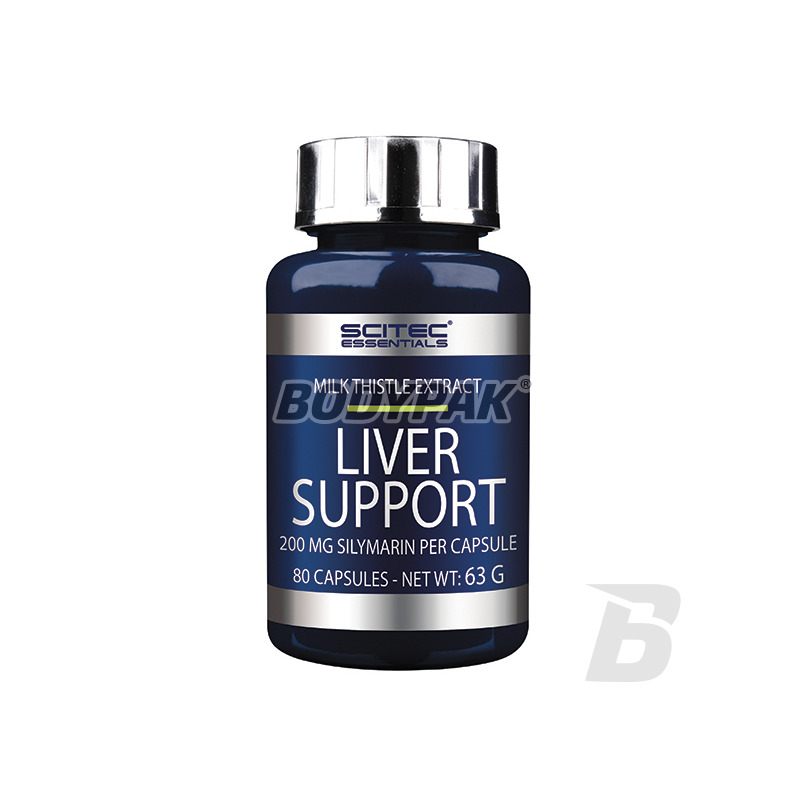 Health & BeautyScitec Essentials Liver Support - 80 kaps. It is a modern, low-cost high-quality dietary supplement to support liver function. The ideal supplement for anyone who wants to take care of your liver. 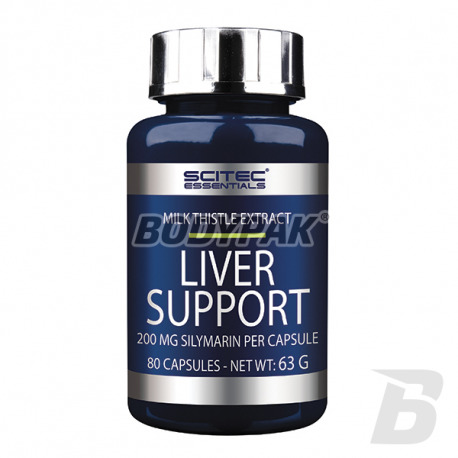 Scitec Liver Support is a product specialist supporting treatment and regeneration of the liver. The effective preparation of the American manufacturer's best sports nutrition contains the highest quality Milk Thistle supporting the work of not only the liver, but also gall bladder. Thanks to the high quality of the active substance Scitec Liver Support prevents damage to the liver by stimulating the growth of new cells replacing them in the place damaged. Exceptional antioxidant properties, which are shown Scitec Liver Support, provide that this product is a useful dietary supplement for everyone - not just for people taking medication, but also for those who are exposed to all kinds of toxins - chemicals, pollution, smoke nicotinic acid, or food preservatives. Coraz więcej słyszy się o pozytywnych właściwościach spożywania ostropestu. To nie ściemy! Faktycznie wspiera funkcjonowanie i prace wątroby. Myślę że warte szczególnie dla osób, które mają jakiekolwiek problemy wątrobowe z różnych przyczyn.